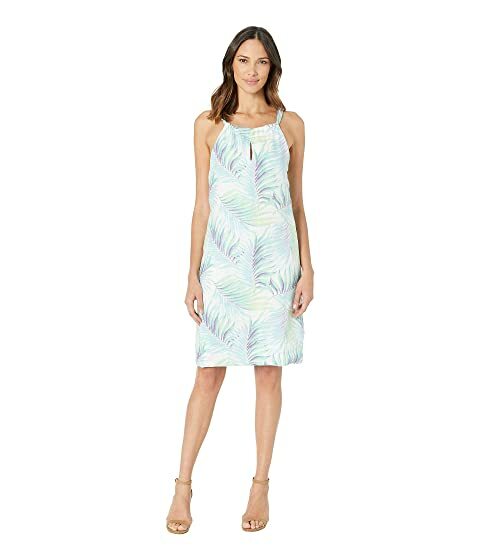 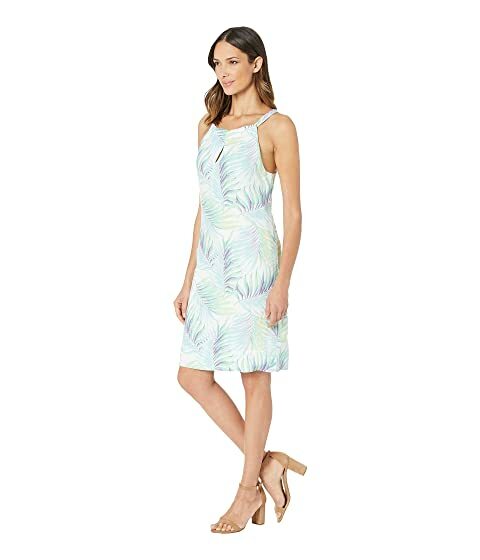 Put your vacation-ready look on display with this Tommy Bahama® Leinani Leaves Halter Dress. 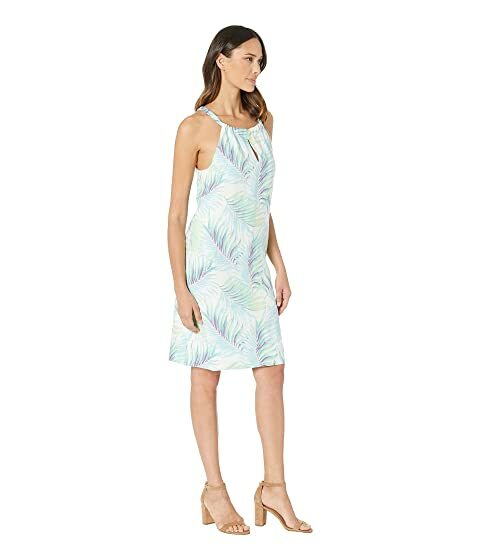 Shift dress flaunts a botanical print in a watercolor finish on a linen fabrication. 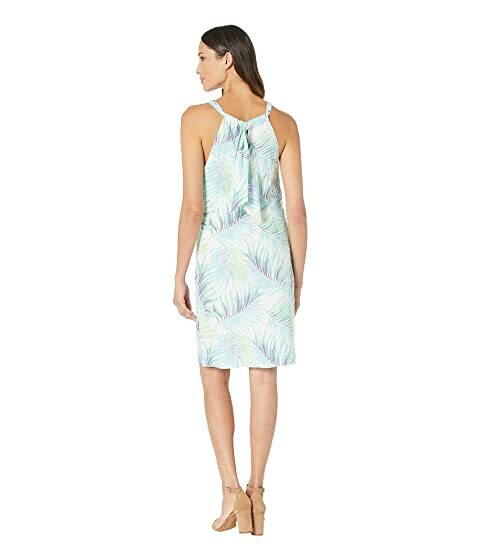 Halter neckline with drawstring closure at nape.